When it comes to updating old vehicle graphics, sometimes it’s hard to get away from the original theme. 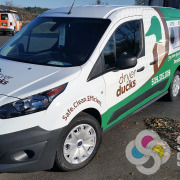 Whether you’re afraid of stepping on former designers’ toes or just can’t seem to picture your logo or graphics any other way, just getting through the design phase can be the most daunting task of creating a van wrap. 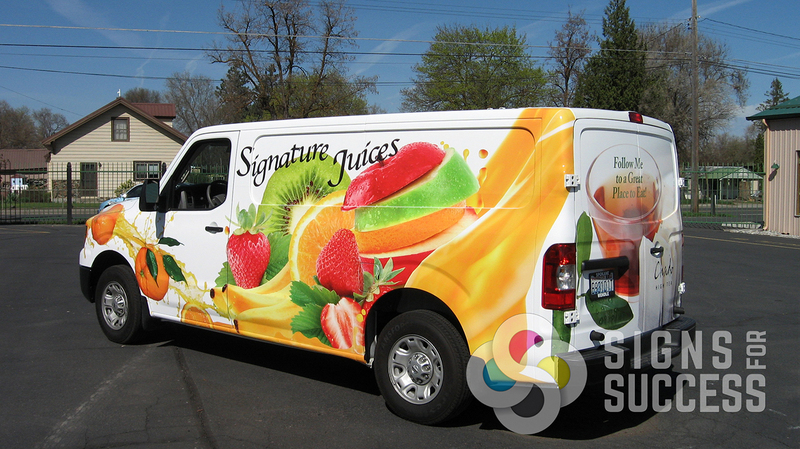 When it was time to update Food Services of America’s van fleet, the design team was able to agree on a refreshing new concept for their outdated van wraps, making the change all the easier. 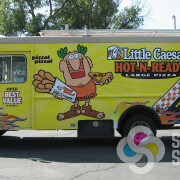 “Our vans had wraps on them before, but they were faded and outdated. We wanted a more updated, splashy look,” Food Services of America’s internal graphic designer Nancy Taylor said. 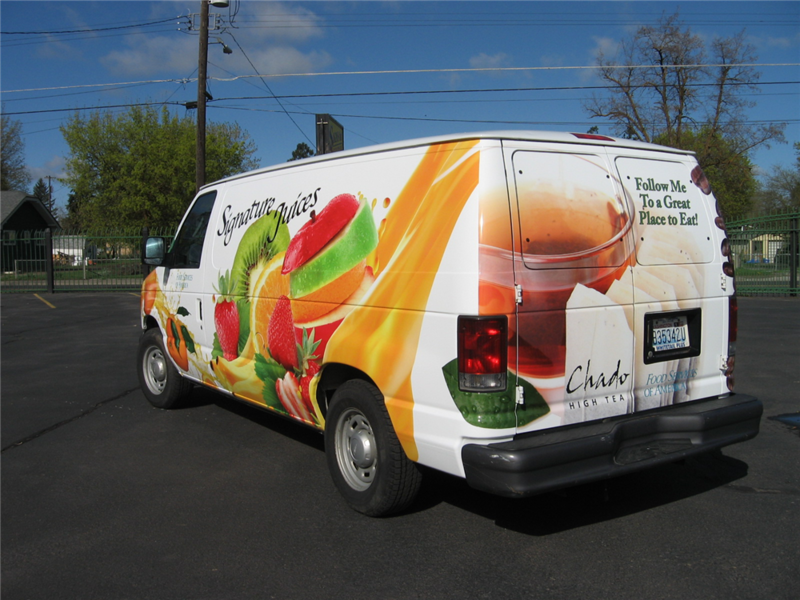 “One of my fellow associates, the brands category manager, along with the beverage team came up with ideas they wanted to see for each side [of the van].” Not only did Nancy create more eye-catching graphics, she came up with a unique, yet cohesive concept for each side of the van wrap. 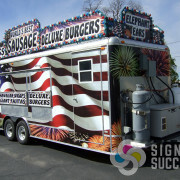 Signs for Success downloaded the templates for their van makes and models and sent them to Nancy. Once we got the completed design back, with a few minor tweaks that would optimize the installation process, we sent the design to print. The wrap was printed on Avery 1005 conformable wrap film or with 3M High Performance Control Tac Vinyl and laminated with satin laminate. One side of the wrap features succulent fruit and splashes of fruit juice, while the other side pictures coffee beans and smooth pouring coffee. The back of the van features tea leaves, bags, and a refreshing-looking cup of tea. 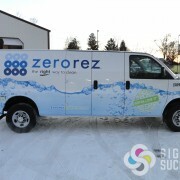 All of the van wrap vinyl was printed and installed here at Signs for Success. Managers from Food Services of America were so excited about the wraps, they stopped by periodically during the installation to see the work in progress. 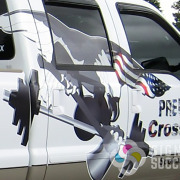 The wraps were showcased at the FSA Show May 9, 2012, and they will be used locally in Spokane and in the Moses Lake area. Van wraps are quite successful marketing tools because they cover so much area (a van is a large vehicle), and they get lots of attention on and off the road. 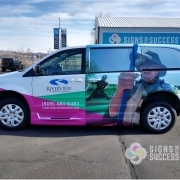 Vehicle wraps generate up to 70,000 impressions per day; in fact, according to the American Advertising Association, 98% of people driving notice vehicle graphics on the road. Refreshing old van graphics is a smart investment since modern vehicle graphics give a professional, successful business vibe. 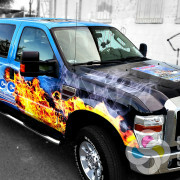 Vehicle wraps get noticed, and you want to give a good impression! 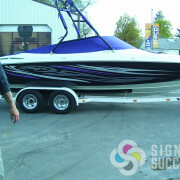 Whether you’re coming up with a new design or you’re updating existing graphics, the Signs for Success experienced design team can offer a fresh set of eyes to help work on a refreshing concept, theme or design. We will make sure your van or fleet hits the road in style with a custom vehicle wrap! Contact us for a free quote!